Two care home assistants have been suspended from duty and social services called in after the pair posted pictures on Facebook mocking the elderly patients they were supposed to be looking after. In photographs clearly taken next to the home’s elderly residents, the gurning duo pose with zimmer frames and glasses, and in one shot incontinence pants. 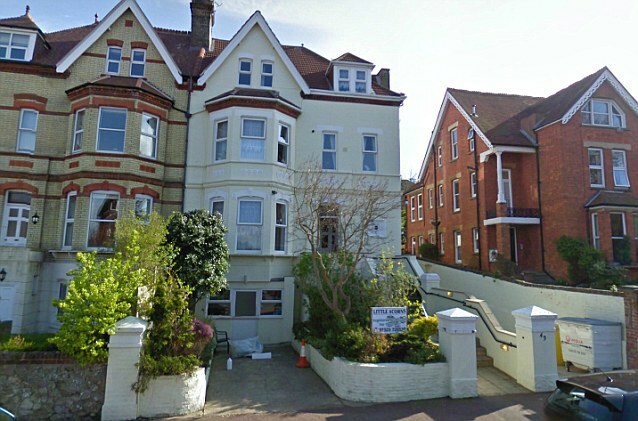 The appalling images were taken in the lounge of Little Acorns care home, Eastbourne, Sussex and the disgraced pair have been identified as staff members Becky Cooper and Natalie Hemsley. In the first photograph, the girls lean forward on the zimmer frames and make faces. A second picture clearly shows an elderly patient in the background while one of the women poses for the camera wearing incontinence pants. Shocked management immediately suspended the pair of pranksters while social services investigate the incident. Owner Michelle Levett said the staff had been ‘suitably dealt with’ – but insisted that no malice had been intended by the prank. ‘The episode is the unfortunate result of a role playing incident, which has been taken out of context,’ she said. The pictures attracted comments when they were posted on the social media site Facebook, but have since been removed. They were then passed to the local newspaper, Sussex Police, social services and the Care Quality Commission. A spokesperson at East Sussex County Council social services said: ‘All residents of care homes should be treated with dignity and respect. ‘We work closely with our partners in Sussex and have run campaigns urging people to bring safeguarding and abuse issues to our attention. In its most recent inspection of the home, the Care Quality Commission found it was providing a good service. One resident’s family has already publicly come out in support for the home, describing the staff as ‘caring’. ‘The way it is run and the superb way my husband is cared for is very reassuring for the family,’ the resident’s wife said.